Michael Phelps performances at the Rio Olympics, is nothing outside of remarkable. In his fifth Olympics, the 31-year-old swimmer is obviously a tremendously gifted athlete who knows how to train and physically push himself. However, what Phelps does better than most other athletes is his mental preparation. This video describes, Phelps commit to his mental preparation. 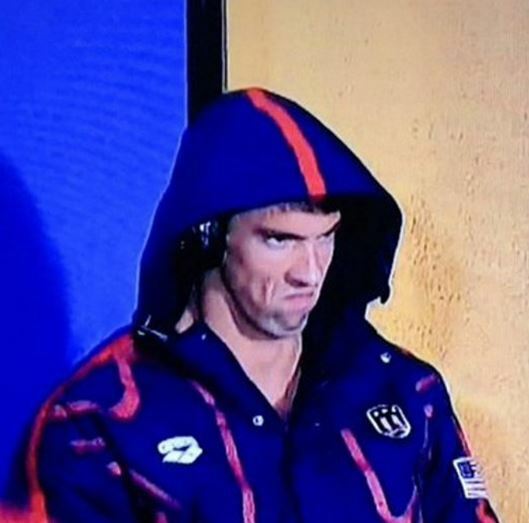 The Michael Phelps “death stare!” clearly demonstrates his pre-race intensity. Sure, I know that golf has different challenges and is a lot longer event, but if you look at each shot, as an individual event, then there are similarities in both time (from analysis of the conditions, pre-shot routine and execution of the shot) and importance. Something Michael Phelps has been able to realise and accept is that Michael Phelps the athlete and Michael Phelps the person are inseparable. Everyone, no matter who they are, has their complexities. This video demonstrates that Michael Phelps the most medal winning Olympic athlete ever, is not just an athlete but also a whole person with faults and issues he has had to face up to, deal with and beat. But standing on the blocks, he is in the moment and fully committed to the one goal. ← It's not a goal if it doesn't have a plan.